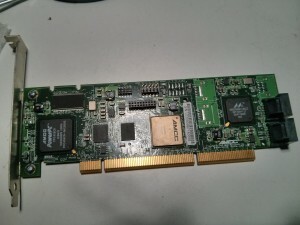 Sometimes hardware Raid controllers are very expensive to fit in low budget solutions, when this happens you can use software raid, like mdadm. Normally hard disks have a limited lifetime. To avoid disasters I replace hard disk every two years, at same time that means that new hard disk will come in a bigger capacity. I will simulate this workflow. Imagine that in a beginning we have a couple of two hard disk with a capacity of one terabyte (1HD and 2HD), and after two years we acquired two new hard drives with a capacity of three terabyte (3HD and 4HD). and finally we have our mdadm raid with new drives and a lot of free space.